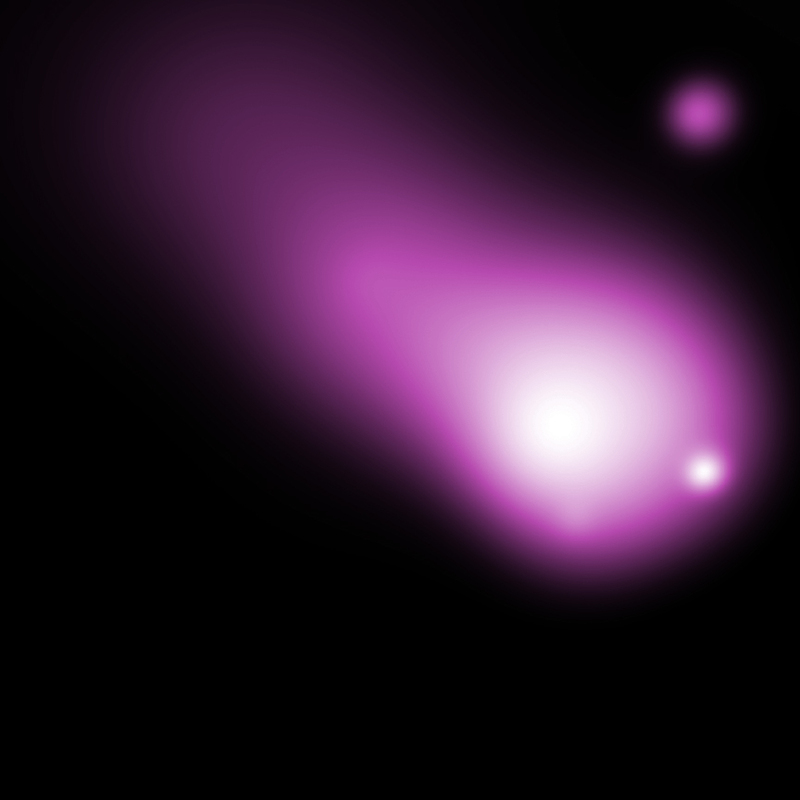 A massive multimillion-degree cloud of gas has been revealed in X-ray data from Chandra that have been combined with optical data from the Very Large Telescope in this composite image. 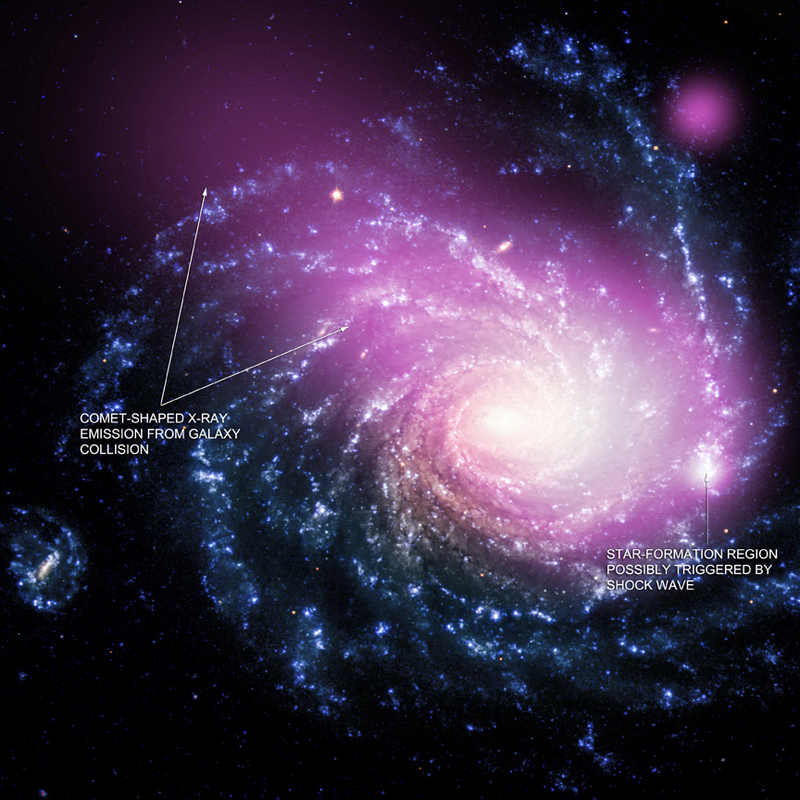 The hot gas cloud is likely caused by a collision between a dwarf galaxy and a much larger galaxy called NGC 1232. 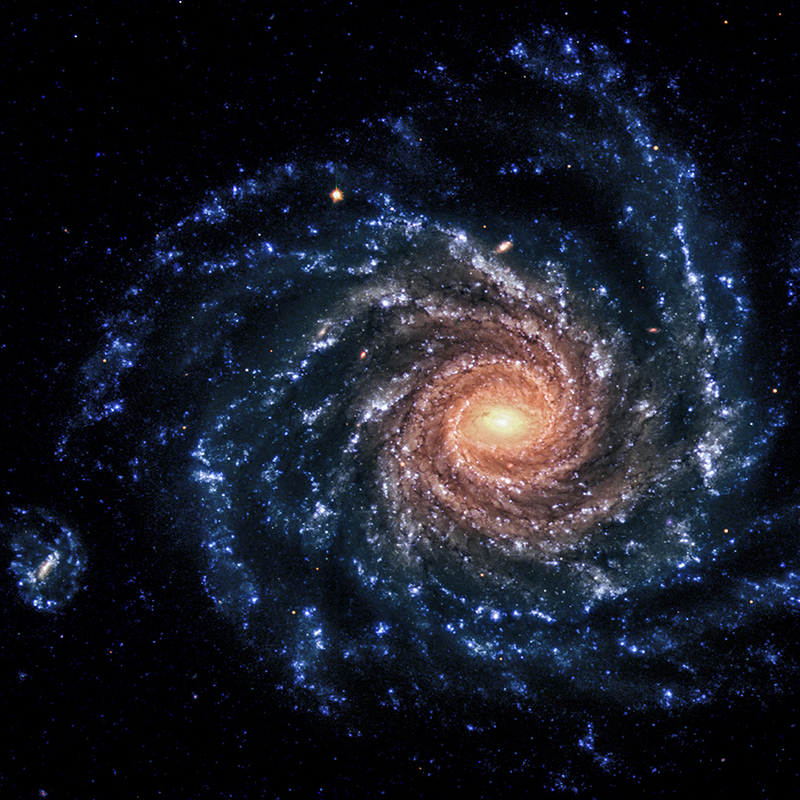 If confirmed, this discovery would mark the first time such a collision has been detected only in X-rays, and could have implications for understanding how galaxies grow through similar collisions.